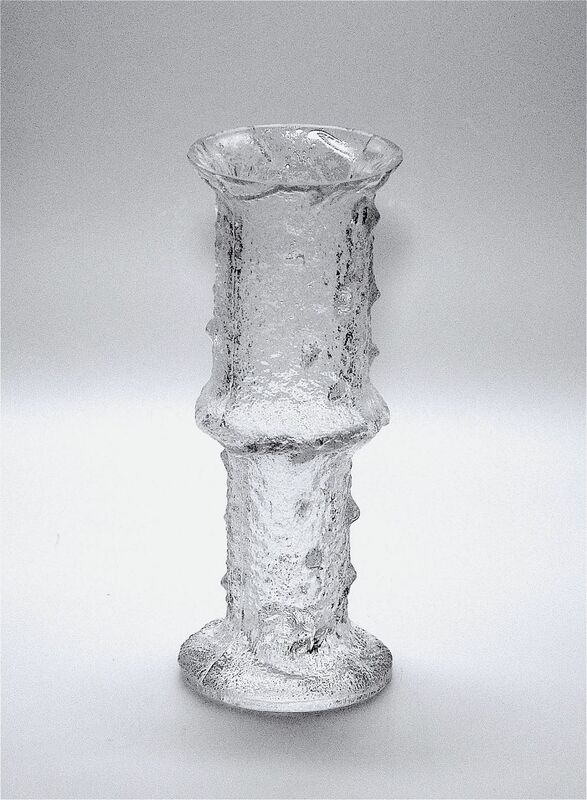 This stylish frosted glass ice sculpture design vase is by Timo Sarpaneva for the Finnish studio iittala. It is part of the Festivo range that was designed by Sarpaneva in the mid 1960s. The base is signed "TS" for Timo Sarpaneva but it no longer has the iittalia label.